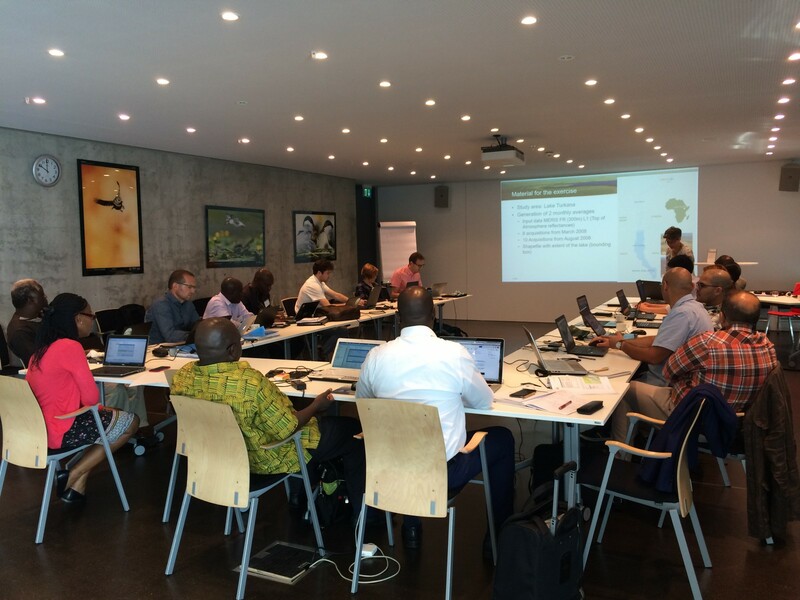 On 12th to 14th June 2017 the GlobWetland Africa Project was holding its first user workshop at the Ramsar Convention Secretariat in Gland, Switzerland. 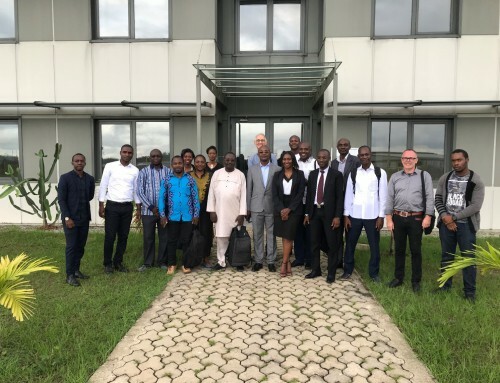 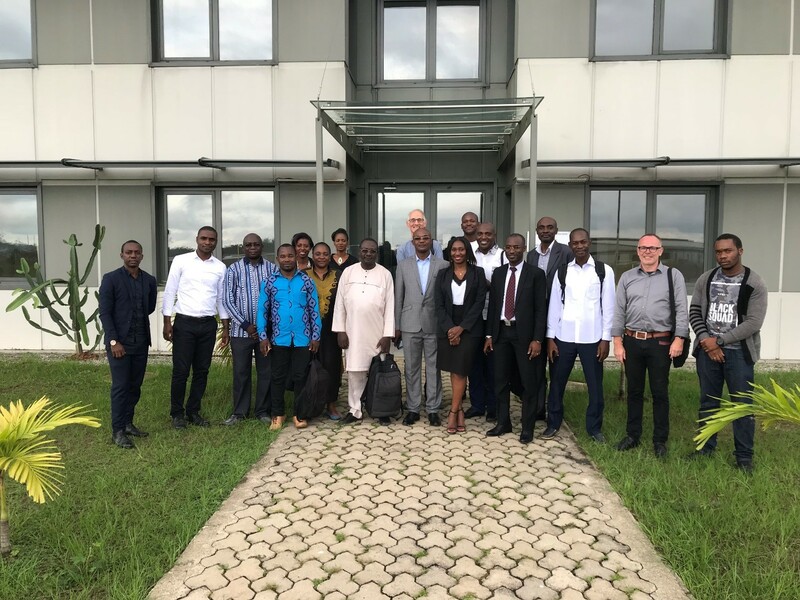 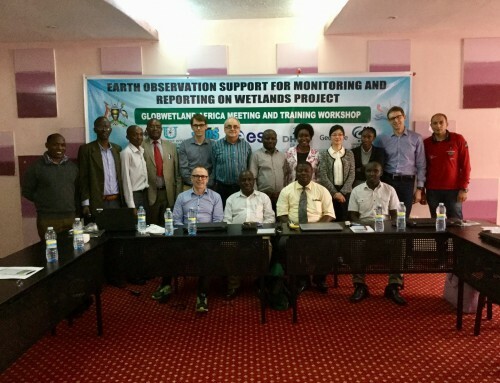 A total of 16 participants including representatives from African Contracting Parties, Ramsar Regional Initiatives, Rivers Basin Authorities and the Project Consortium were meeting for a hands-on training session on the beta release of the GlobWetland Africa Toolbox. 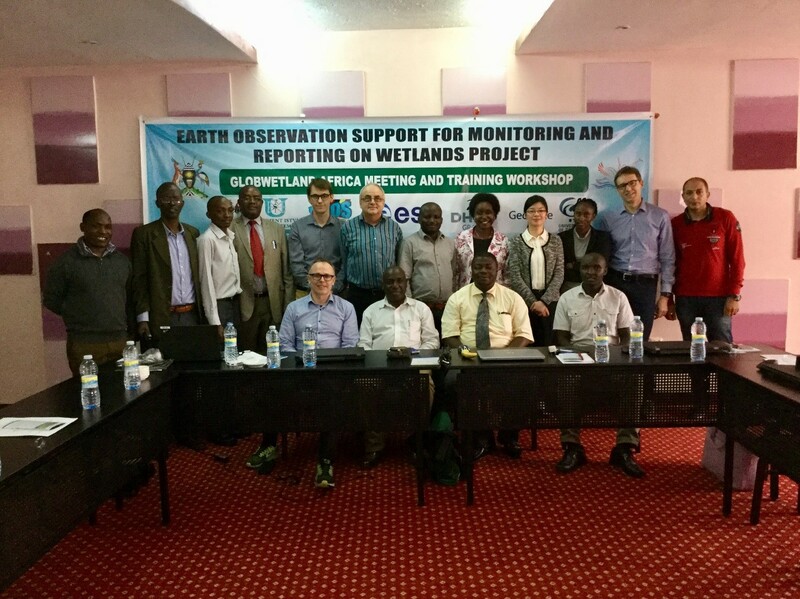 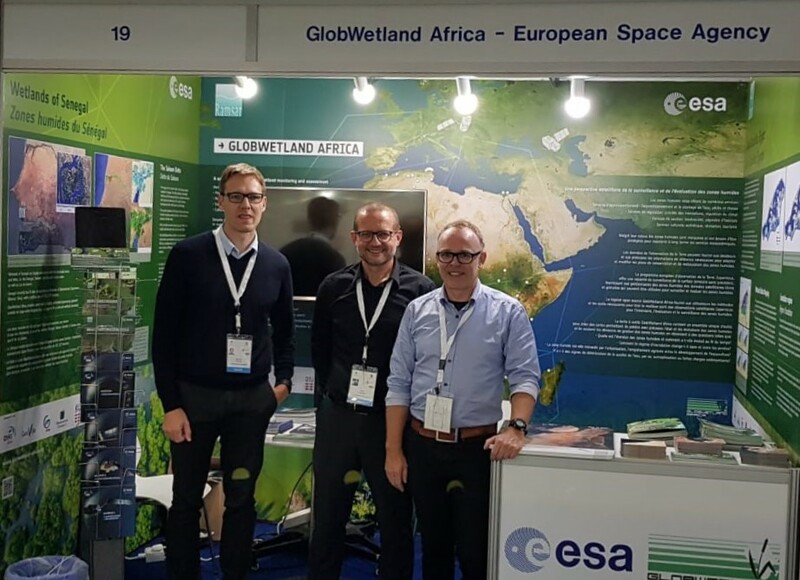 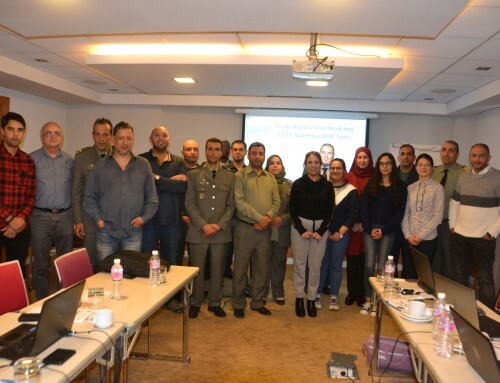 The main objective of the first user workshop was to present and demonstrate the first beta release of the Wetland Observation and Information Toolbox developed under GlobWetland Africa and provide participants with hands-on training in installing and operating the toolbox. 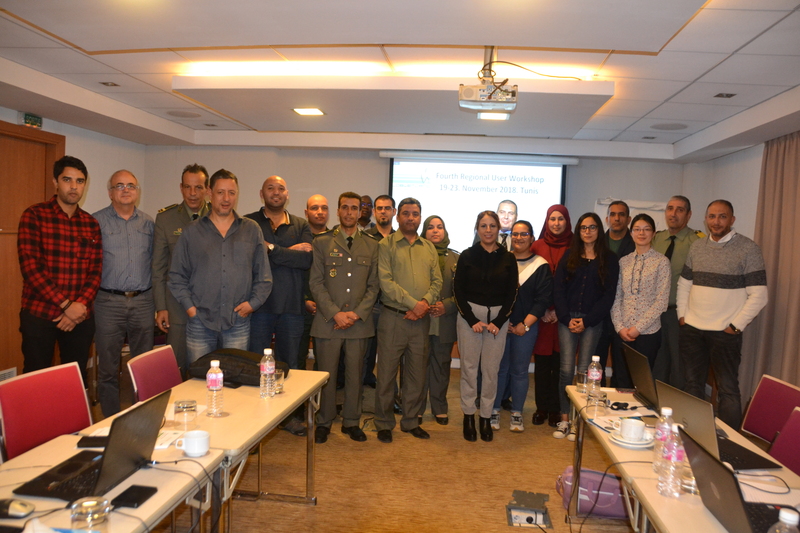 The workshop also gave the participants an opportunity to provide feedback to the development team as guidance for the ongoing evolution of the toolbox. 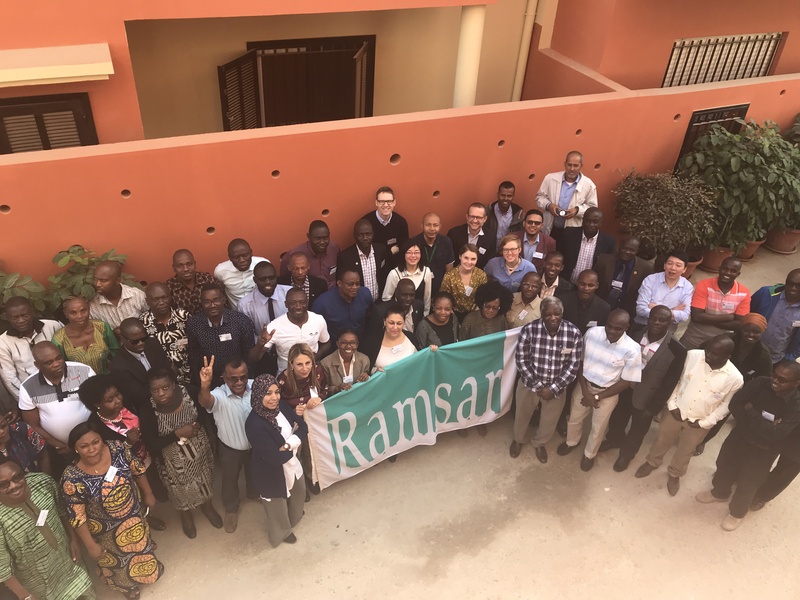 During his welcome remarks on behalf of the Ramsar Secretary General, Jonathan BARZDO, Deputy Secretary General of the Ramsar Convention said that “The future of African wetlands depends on a strong political will to protect them, based on comprehensive wetland inventory, sound wetland policies and encouragement for community participation in their management”. 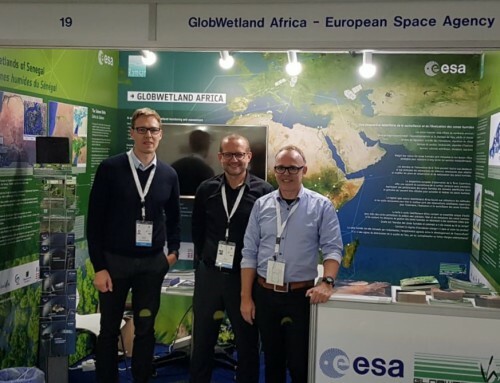 He also stated that “GlobWetland Africa will help African authorities to make the best use of satellite-based information on wetland extent and condition for better measuring the ecological state of wetlands and hence their capacity to support biodiversity and provide ecosystem services”. 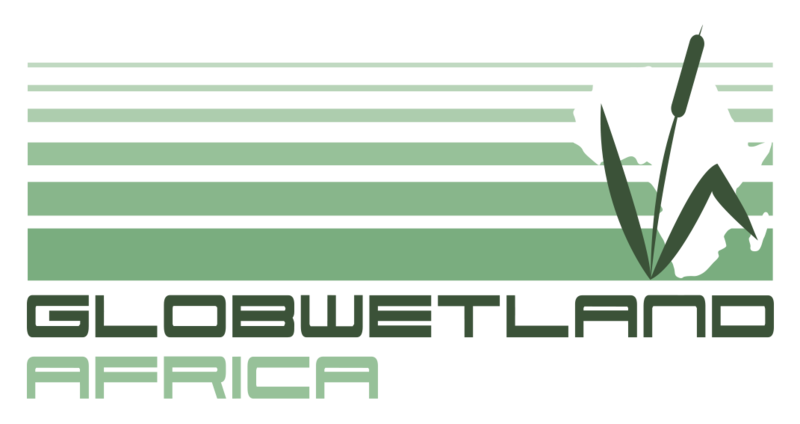 The beta release of GlobWetland Africa toolbox is currently being updated in response to user feedback before its public release in Q4 of 2017.